Much has been said and written of late about the failure of manufacturers to produce complying products in the wake of the recent UK Grenfell Towers and the 2014 Lacrosse in Melbourne apartment fires. Whether you felt it or not, the earth shaking actions that unfolded recently will ultimately have an impact on every one of us. There’s a tropical elephant in the room. When we think of carbon emissions we tend to think of dirty emissions from car and truck exhausts or belching smokestacks of coal fired power stations. As of January 1, 2017, the system underpinning chemical risk assessments and communication in all OH&S and Safety Data Sheet (SDS), chemical labelling (and more) changed. The advent of a whole new range of rooftop integrated solar electricity generating or photovoltaic (PV) products has the industry and consumers buzzing with the potential of ‘invisible’ rooftop power generation. If you haven’t heard about Elon Musk’s recent announcements about Tesla and Solar City’s new solar photovoltaic (PV) roof tile, you must have been living under a rock for the last little while. As 197 nations agreed this week to ban refrigerants that worsen climate change, the air conditioning industry is going to have to stop using the types of delaying tactics commonly associated with the fossil fuel and tobacco industries. How many times have you heard that using a dishwasher is more energy or water efficient than hand washing your dishes? Pretty much every time you have purchased a dishwasher? 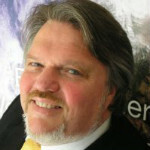 Multi-award winning architect, sustainability, life cycle assessment (LCA) consultant and Integrative Design Facilitator with over 30 years green building design & product assessment experience. A passionate advocate for a sustainable future in the built environment, David heads up the world leading Global GreenTag Green Product Certification Program, the Integreco Consulting green building and sustainability solutions consulting team and is co-founder of the Ecospecifier green product and knowledge portal that helps consumers and professionals progress sustainability by their product choices.